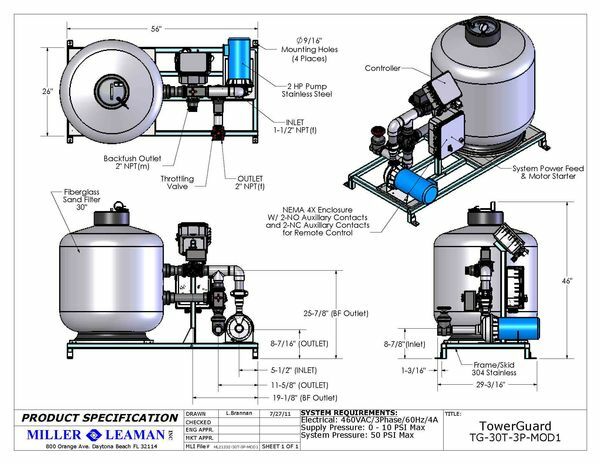 The TowerGuard side-stream sand filter series represents Miller-Leaman’s newest generation of self-cleaning cooling tower water filtration products. 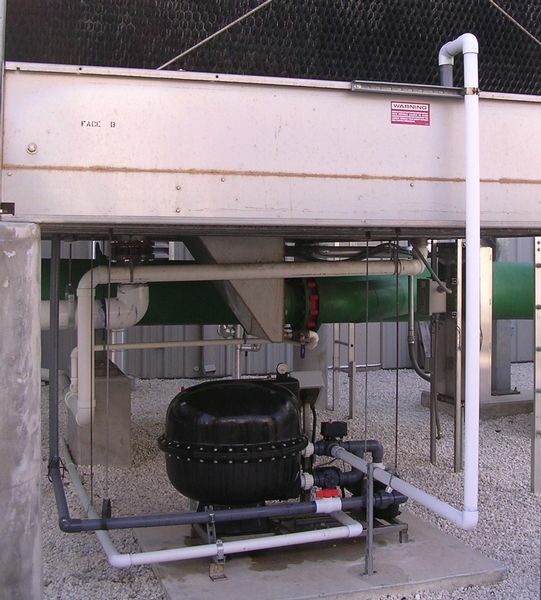 The skid mounted TowerGuard filter system automatically removes particles introduced to your system from the air scrubbing action of the cooling tower as well as particles present in the cooling tower make up water. 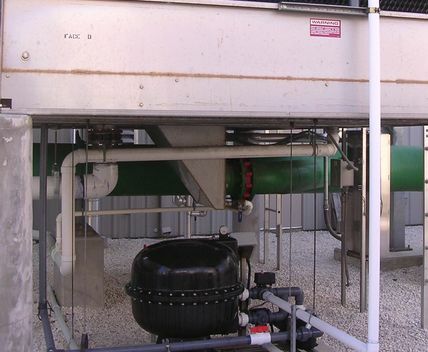 Keeping your system free of these particles will reduce maintenance costs by keeping your cooling tower basin, heat exchanger tubes, and system piping clean. 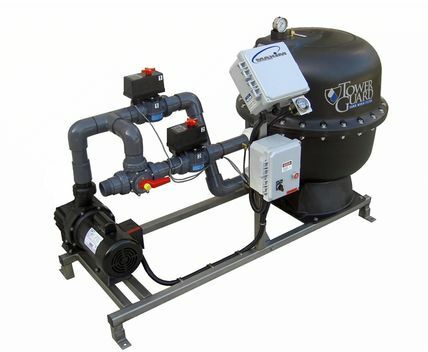 In addition, you will see an improvement in heat exchange efficiency resulting in lower energy costs. 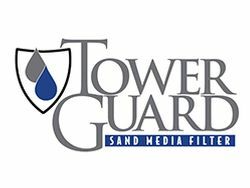 The TowerGuard utilizes a specialized granular filter media, providing particle removal approaching the 10-micron level. 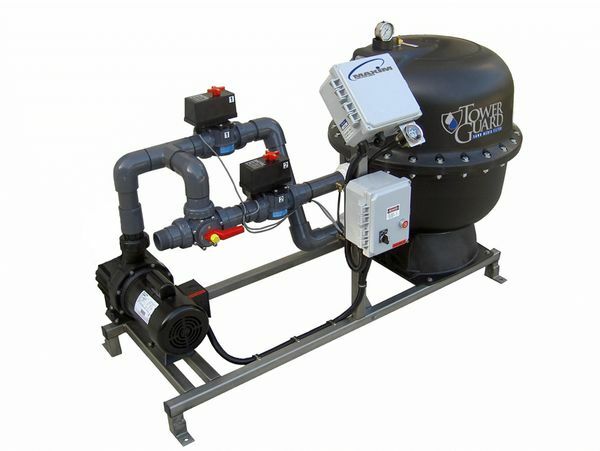 Available in a 44 GPM, 62 GPM, and 98 GPM model size, the TowerGuard filters come complete with a robust fiberglass reinforced vessel rated at 50 PSI, a close coupled Type 316 stainless steel centrifugal pump with a TEFC motor, all mounted on a heavy-duty Type 304 stainless steel skid. 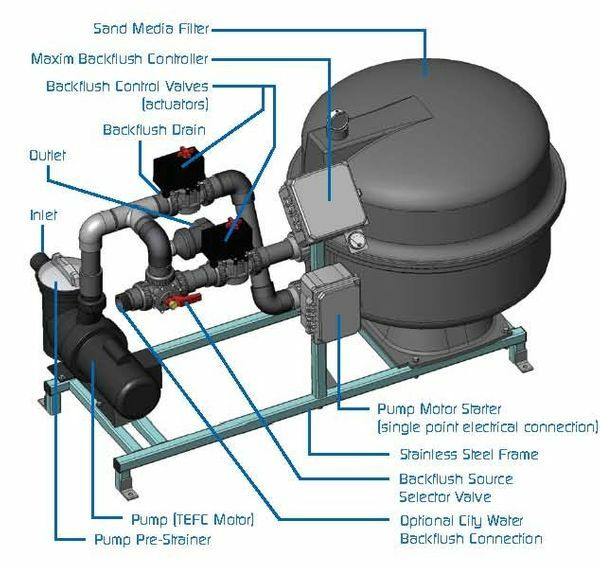 Miller-Leaman’s compact, yet powerful Maxim backwash controller provides for complete control of the filter system, enabling the backwash cycle to be triggered manually, on differential pressure, or elapsed time. 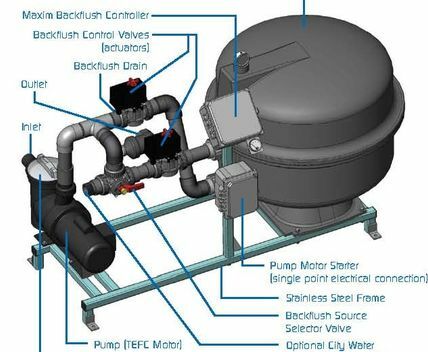 The skid mounted system arrives completely assembled, prewired with a single-point electrical connection. 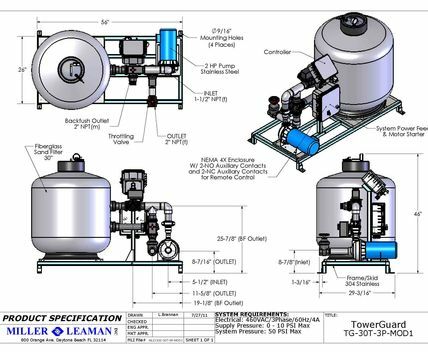 Our innovative TowerGuard systems are value engineered to deliver superior performance and long-term reliability. Copyright © 2019 Miller Leaman. All rights reserved.